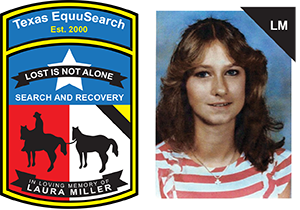 07/10/12 — Elizabeth Ellis and Amanda Wilson, loyal supporters of Texas EquuSearch and Citizens of Dayton, TX will be hosting a Fundraiser and Dance benefiting Texas EquuSearch on September 29, 2012 at the Dayton Community Center, 801 S. Cleveland Street, Dayton, Texas 77535. The Event will begin at 6:00 p.m. and end at 11:30 p.m. There will be live music provide the Jonathan Mitchell Band. The tickets are $25.00, and that will include a barbecue plate furnished by Pappy’s Barbecue. The Event is BYOB. 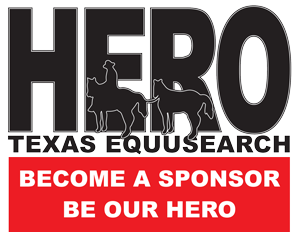 Tickets may be purchased at the Texas EquuSearch office (281) 309-9500, Dayton Chamber of Commerce, Ken DeFoor, Jasper Stanley, Elizabeth Ellis or Amanda Wilson. Please call (936) 258-6630 for any questions. We hope people will come out and support this fine organization so we can continue to help families of lost loved ones. Thank you so much. For a downloadable flyer, click here.